I asked my ten years old daughter. Since the theme for Blog Action Day 2009 is climate change, I was thinking about it all day. Well, I am not sure what she said is right, but one thing is sure. What I learned later about water crisis was that global warming causes the problem in the world. Because there is more water vapor in the atmosphere, basically it rains hard in many regions, but at the same time, dry lands get drier. It is also said that there is no region that would have normal rain falls; it will be intense deluge or less rain. To solve water crisis that many countries facing now, saving water is important. What is often looked over is the water of flush toilet. The 1.6 gallons flush toilet seems the world standard. 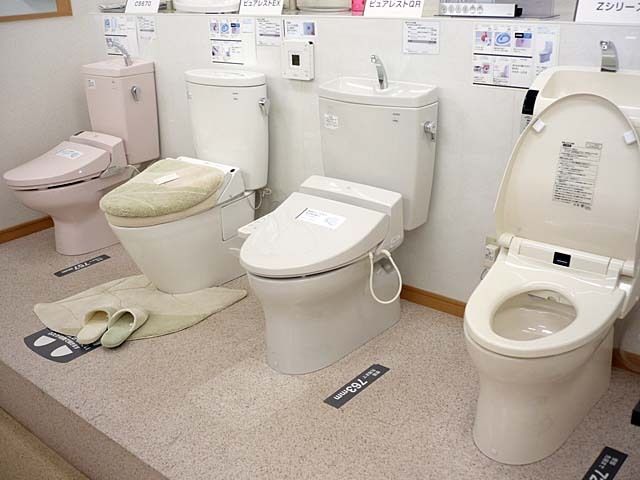 Besides the U.S, Europe, Canada, Brazil, and China use 1.6 gallon toilet, and North Europe, and Singapore use even less 1.2 gallon toilet. In Japan, the world largest toilet manufacture, TOTO Ltd. had already had technology to flush little water, they succeeded to develop 1.6 gallon toilet in a short time. Recently, TOTO developed 1.3 gallon flush toilet called “Neo rest Tank less Toilet”, which literary does not have tank part (tank is underneath the toilet), it’s simple and clean design. 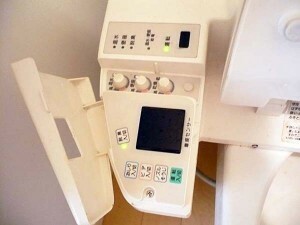 Although there are new saving water toilets in the market, there is no policy on the toilet flush volume in Japan. It is an important challenge to save more toilet water in the future. Everyone uses toilet everyday, developing less water toilet will be a savior to water crisis. 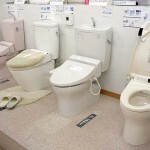 JapanStyle introduced “super toilet” known as “warm-water cleaning toilet seats” and “history of Japanese toilets” and “unique toilet” too!! Beauty Contest to Choose Most Beautiful Eyelashes in Japan?